MONTREAL – Less than a year after signing his first contract, Johnny Manziel’s tenure in the CFL has come to an end. 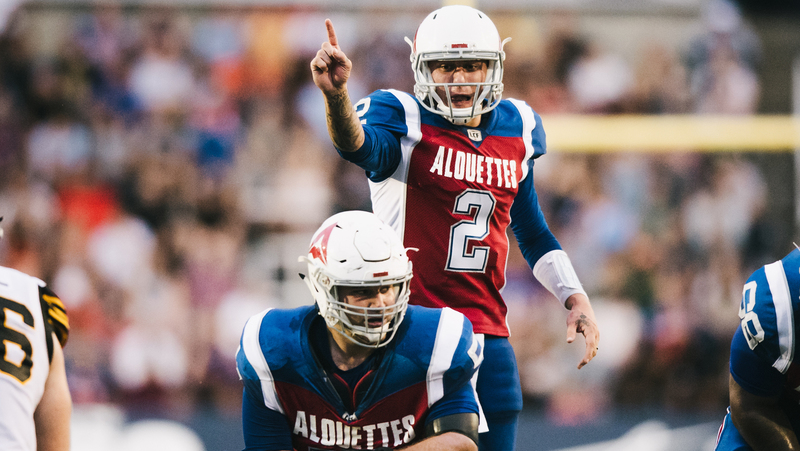 The Montreal Alouettes have released the international quarterback based on the direction of the Canadian Football League after it was found that Manziel had contravened the agreement which made him eligible to play in the league. Anyone know what condition he broke? And so ends the top 5 most over hyped player and story ever in the CFL. Eric Tillman and the TiCats get the last laugh. I was actually hoping that things would work out for him. There was potential that it could have been good for our league. I ageee. It’s unfortunate. In a better situation he could have tore up the CFL. He couldn't hack it in the CFL, maybe he can do something in the bush AAFL? I think deep down many CFL fans in this league knew it was going to end like this. Manziel was never going to be good for the CFL. Nice to have that waste of time in our rear view mirror. Montreal still has the Kavis challenge to deal with but hopefully removing this distraction helps them work back towards respectability. Was he worth the American tv ratings ?? probably not. An unbelievable score for the Ticats and massive loss for the Alouettes. There are a lot of ppl that I owe a toldyaso on this one that will come on here and read this. I was warning them about how Manziel would flame out in spectacular fashion and wasn't worth the risk. Or the cost.